Born into a legal dynasty, Jack Lawson was a natural who was making a name for himself as one of Manhattan’s top young lawyers. But when his world came crashing down, Jack left the big city and his family’s powerful firm, to seek solace in a small village of Cooperstown, New York. There, he re-discovered his love of the law. But the peaceful village is shattered when a body is found on the estate of the county’s most famous resident, and American hero, Drew Anderson. A man considered to be so perfect that he is nicknamed Max Q after the benchmark for systems perfection during a space launch.. And it isn’t just anybody who is found dead—the victim is widely considered to be one of the world’s most infamous women. In August of 1989, Duncan MacPherson–a pro hockey player from Saskatoon, Canada–vanished without a trace in Europe. 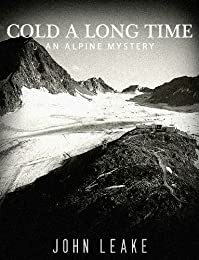 With no help from the police, his parents, Lynda and Bob, drove all over the Alps looking for him, and finally found his car at the Stubai Glacier, a popular ski resort near Innsbruck, Austria. Thus began their twenty-year struggle to discover why their son had disappeared after snowboarding on a beginner slope. Had he, as the local police suggested, wandered off the beaten track and died in a remote area, or had he been the victim of something sinister? In the course of their search, the MacPhersons encountered an extraordinary cast of characters, including a 5,000-year-old ice mummy, an amnesiac initially thought to be Duncan, a renowned psychic with a startling vision, a charismatic ski resort developer, and a deceptively friendly forensic doctor. 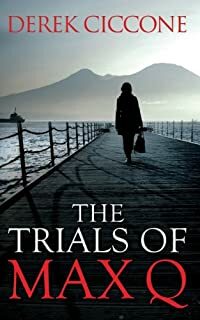 In 2009 they asked author John Leake to help them with their ongoing search for answers, and after a two-year investigation, he discovered the shocking reality of what happened to Duncan. 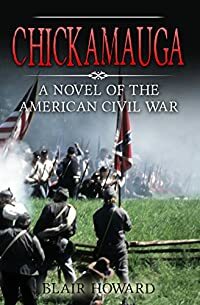 Chickamauga is a Cherokee Indian word meaning “River of Death,” and that it certainly was in late September 1863 when the Union Army of the Cumberland and the Confederate Army of Tennessee fought one of the bloodiest battles of the Civil War on along the banks of the Chickamauga Creek. The story begins on the morning of September 18 at Reed’s Bridge when a brigade of Federal cavalry commanded by Colonel Robert Minty clashed with a large force of Confederate infantry and Nathan Bedford Forrest’s Cavalry Corps. From there, it continues through three terrible days until, finally, at a little after seven o’clock on the evening of September 20, Federal General George Thomas, the Rock of Chickamauga, leaves the battlefield to the victorious Confederate Army of Tennessee. Casualties on both sides numbered more than 37,000; both armies were decimated. Since the tragic death of her father, eight-year-old Sasha Nielson has not spoken a word. Her mother, Rainey, has taken her to doctors and therapists, but medical science has not found the cause or the cure for Sasha’s silence. There are days when her behavior is baffling, even potentially dangerous, particularly during lightning storms. The authorities threaten to take Sasha away and time is running out. One man sees beyond Sasha’s mysteries. Matt Macinnes is a gifted professor of ancient languages, a man who senses that there is a key to Sasha’s silence, that she may in fact be guarding a secret of such profound and terrifying dimensions that it staggers the imagination. Only Matt can get Sasha to whisper her secrets, secrets she reveals to him in Old Gaelic, a language she has never had access to. Could this All-American little girl truly be carrying around the restless soul of an exiled Celtic queen of old? More than that, Matt finds himself drawn to Rainey’s amazing strength and beauty. He feels ties to her that he can’t explain. 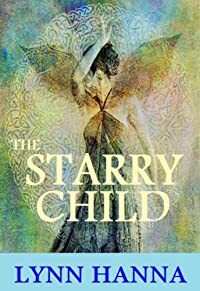 But her protective instincts toward little Sasha have built a fortress around her heart, a barrier that only hard-won trust and absolute proof of his worthiness can tear down. He is devoted to both mother and daughter, but the mystery of Sasha’s secret destiny must be solved before he can reveal the passionate truth that burns within him. Rainey has fought to keep Sasha safe from the cruelty and ignorance of the world. She has tried everything to help Sasha overcome her silence, but in the end, Sasha’s wordlessness has prevailed and stress and exhaustion are Rainey’s constant companions. She can’t fix things by herself, but she doesn’t dare trust anyone else for fear others have a dark agenda that could lead to the loss of Sasha. Matt is very tempting. Aside from the fact that he has an almost mystical kind of attraction about him, it would be very easy to simply hand him her heart and her impossible responsibilities and let him take over for a while. Added to that, Sasha adores him at first sight. But is Matt only helping them in order to earn himself professional recognition and a hefty university grant? How can she deny being drawn to him with every breath she takes as if she has known and loved him for a thousand years? How can she dare to trust him when not only her heart is at stake, but Sasha’s heart is in the balance as well? Tommy says that he’s a big boy. He says he is not a baby anymore! But what happens when he is afraid to sleep in his own bed? This rhyming children’s book is all about Tommy. Tommy is already so big and brave. He can already do many things on his own except sleep alone, until his parents think of a wonderful solution. He just needs the help of a new friend! If your kids ask you to do their tasks, this great book motivates your kids to be independent and enjoy the benefits of doing things by themselves. Is your child afraid to sleep in his own bed at night? Does your kid sneak into your bed at night? This fun book empowers the child and helps him to overcome his fear. This colorful book is excellent as a bedtime story and for early learners and beginner readers. 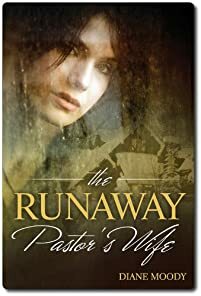 What could possibly drive a pastor’s wife to run away from home? After years of frustration from life in a church fishbowl, Annie McGregor walks away from it all and boards a plane for Colorado. She has no way of knowing her college sweetheart is headed to the same cabin in the Rockies, terrified and gravely wounded. Their unexpected reunion couldn’t have come at a worse time. Or could it? 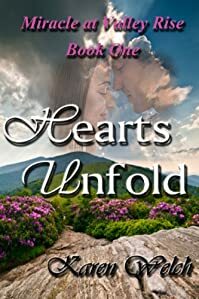 Bewildered that God would allow Michael Dean to walk back into her life, Annie pleads with Him to keep her heart true to her husband and her family. God answers her prayer, but in a way she would never expect. There’s nothing more dangerous to a woman’s heart than a man who is single, straight, loves his kid, and doesn’t kiss and tell . . .
Now she’s back in Paradise Point — an unemployed single mother whose only option is to accept her mother Rose’s offer of a job and a place to live. But it doesn’t take Maddy long to discover that the things about your mother that made you crazy at 17 make you even crazier at 32. Rose’s critical comments bring out Maddy’s inner teenager and by the beginning of December, the end is in sight. Maddy would stay there at the Candlelight Inn, her mother’s popular B&B, through Christmas for her daughter Hannah’s sake, but once the New Year rolled around, she’d be out of there. And then fate, in the form of an online auction battle over a Russian samovar that looks like Aladdin’s lamp, brings home-town hero Aidan O’Malley into her life and suddenly Maddy begins to believe anything is possible. A child’s dreams, an old woman’s memories, the joys and heartaches that come with being part of a family, the thrill of new love and the deep comfort of love that stood the test of time — it all comes together that one special holiday season when even the most battered hearts open just wide enough to let a miracle or two slip through. Home: it’s where your story starts. Three characters and a life-changing event. Ben Blake; British intelligence agent, intellectual genius, striking appearance, impeccable acting skills and a heightened sixth sense, all concealed behind a solid impenetrable mask. Jake Snell; the rugged eleventh Earl of Yorkley, the extremely bright cardiac surgeon, the loving husband, the devoted father, the enigma whose criminal past gives British intelligence another perspective from the other side of the fence. Emma Snell; the talented actress who denounces her claim to fame and glory and becomes a stay-at-home mother. 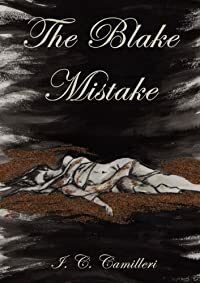 She finds the trapdoor in the edge of the woods surrounding her husband’s stately home. She has no idea of the horror that had taken place in the hidden rooms or how this would play into her future. The London bombing; Ben foresees it, Jake thwarts it and destiny is rewritten, spewing forth a cataclysmic course of events as all the domino pieces begin to fall. Snippets of Jake’s violent and forgotten childhood start to surface his conscious mind and his perfect life begins to break apart before his very own eyes. Women he comes in contact with are found dead bearing a particular signature linked with his childhood. He starts to doubt his hidden suppressed half. 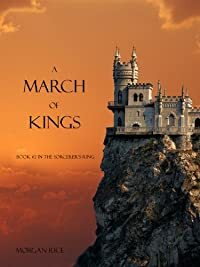 He has to unlock his memories and search deep within the bowels of his vast ancestral home if he is to ever save his wife and tame the brutal destiny he himself had unleashed. Thailand is terrified. A sadistic serial killer has been abducting young innocents for his ritual horror and the authorities are clueless. Carl Engel is an enigma. 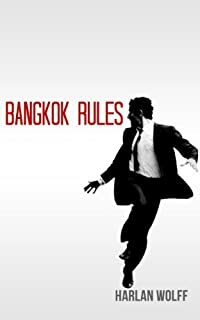 The blunt Londoner has forged a thirty-year career as a private investigator amid the chaos of Thailand’s political history. Struggling with advancing years and a decreasing workload he is approached by an elderly American with a lucrative missing persons case. The case descends into the sordid world of the elusive serial killer and a menacing web of political intrigue dating back to the Vietnam War. Carl must use his guile and experience to stay alive, find the killer and negotiate the dangerous military interests that lurk behind the scenes. 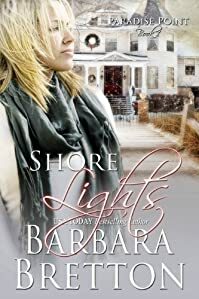 A secret Christmas homecoming, a blinding snowstorm, and in the course of one night two shattered lives will be changed forever. Nineteen-year-old Emily Haynes had lost almost everything she loved. Relying on what seems to be guidance from her invalid father, she returns to her past in hopes of discovering some sign toward the future. What begins as a joyous homecoming quickly becomes a nightmare when a badly injured stranger stumbles on the scene, his brief presence threatening to alter everything Emily believes about herself and the plan for her life. A less determined girl might have been shaken by such an experience, but not Emily. She is certain she’s made the right choice, so certain that in the following three years, she almost convinces herself. Superstar violinist Stani Moss appeared to have everything–fame, fortune and a career guaranteed to bring more of the same, until one hasty decision placed it all in jeopardy. Terrified and confused, Stani struggles not only to recover his former skill, but to find answers to the questions which haunt him. Throughout his slow journey back, one image lingers in his buried memories of that fateful night–the vision of a girl he’s never met. The journey will eventually lead him to Emily, and beyond that day, everything about his life will be transformed. 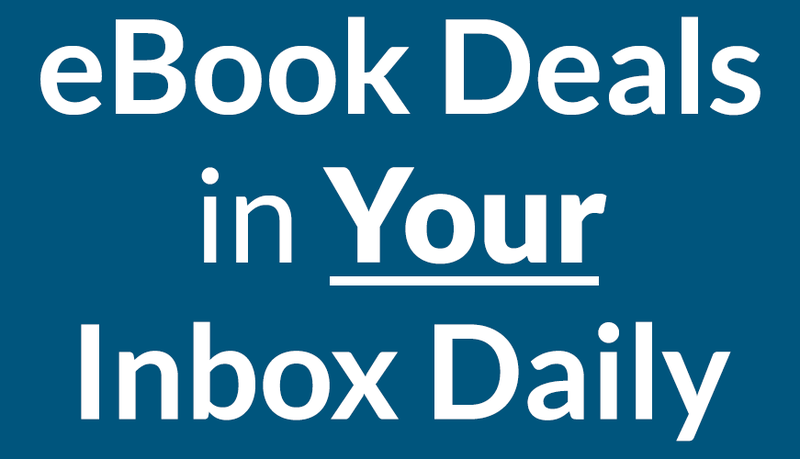 We feature a variety of ebooks for free every single day! 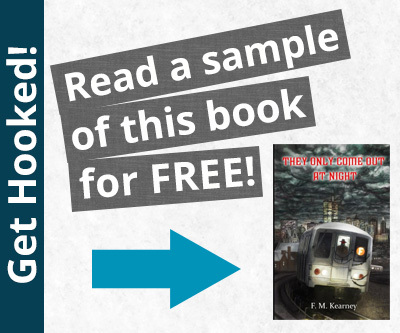 whether you like thrillers, classics, romance, mysteries, chick lit, sci fi or childrens books, we have some great free ebooks that you will definitely enjoy!